After observing sunrise times for years we have come to the following conclusion. The earliest time fajr enters is 1.45 hours before sunrise. (Its clearly visible at 1.30 hours before sunrise.) This is according to the naked eye as for the problem of twilight in the summer months; if you use this rule of counting down 1.45 from sunrise you will arrive to the approx time of ending time of the pre dawn meal. So if sunrise is 4.40 am then closing the fast at 2.55. This is the best option. Some masjids are closing their fasting times at 2am or even 1am. This is not correct and you are putting yourself under undue hardship. This is not about being cautious because being cautious does not put one into needless hardship. The opening times, sunset times, are all the same give or take a few minutes. Please note their is usually a difference between sunset and Maghrib prayer. There is also a small buffer (about fifteen minutes) in the morning; please bear that in mind. The reason for the difference are those following observatory times and not following naked eye. The naked eye was how it was traditional used to calculate times. Those who are fasting earlier times are making the fast unnecessarily difficult, for them and other people. People generally go for the easy option not the difficult one. Those who are propagating 1am times are causing undue harm to their communities. People will either leave fasting altogether or use times of other groups. So well done for those doing this because you are driving more masses to Wahabism. Also following the opinions of those who do not live or understand the local environment is not valid. If you want to see a short text on fasting click here. The most engaging aspect of the character of the Prophet (may Allah bestow peace and blessings upon him) was the way which he did not return evil with evil. This might be obvious to some but when we look deeply at his (may Allah bestow peace and blessings upon him) character we see someone who is complete control of his being. So that he (may Allah bestow peace and blessings upon him) would not allow himself to be like other human beings, who let their emotions rule their actions. We have so many people who make mistimed statements and over emotional declarations based purely on misinformed fervor. We see so many speakers jump up and down with zealotry that it is very strange for an audience to sit and listen to. We came to listen to words rather than listen to someone scream. Partly because we are so used to people screaming that we cannot imagine someone speaking and addressing the audience in a calm manner! Whenever we hear people teach we want to feel that the teacher is being nice to his students. We do not want to imagine a teacher being harsh to his students but this does happen. Especially when teachers base their speeches upon zealotry. Even though we cannot see an end to it. We really hope that they will one day change the record but the mouth opens and the same sound comes out. 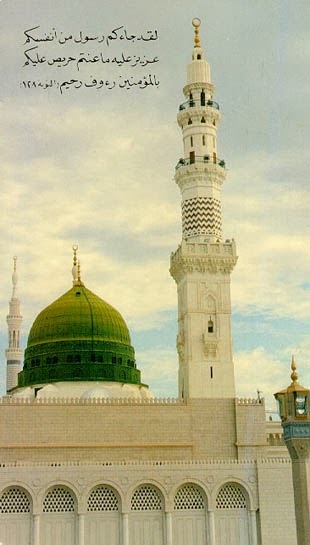 The Prophet (may Allah bestow peace and blessings upon him) had many enemies who did evil things to him: like slander, backbite, murder his relatives and so forth but that did not make him climb the minbar and swear at them or offend them. Like what speakers do now in a vain attempt to defend him (may Allah bestow peace and blessings upon him) by the worst manners possible! Manners that he (may Allah bestow peace and blessings upon him) never used himself! It can never be justified to swear on the minbar preaching Islam nor use foul language. Such people do not follow the Sunnah in public and will almost certainly not in private! They themselves have forgotten to follow the Sunnah that they preach other people to follow! The earth is an extremely good example because one of the manners of cultivating soil is by using manure. As it contains part of the goodness that is in plants so this is replacing the nutrients in the soil. The Sufi: meaning the one who practices Islamic spirituality and not the person who has a title without any reality. We mean those who striving the following the character of the Prophet (may Allah bestow peace and blessings upon him) to their utmost. They fulfill this characteristic and how few of them they are in this world. We live with so many things and people who lack the patience to wait a few minutes behind drivers who have stalled without sounding their horns. We live in a time when being virtueless is a virtuous. When vice is very nice and where conformity is confirmed. In the melee of this time of rebellion we need to learn this vital fact about our religion. (وَلا تَسْتَوِي الْحَسَنَةُ وَلا السَّيِّئَةُ ادْفَعْ بِالَّتِي هِيَ أَحْسَنُ فَإِذَا الَّذِي بَيْنَكَ وَبَيْنَهُ عَدَاوَةٌ كَأَنَّهُ وَلِيٌّ حَمِيمٌ). (فصلت:34). ، قال ابن عباس: أمر بالصبر عند الغضب، وبالحلم عند الجهل، وبالعفو عند الإساءة. If you do something for the sake of Allah, He will change the situation between you and the other party. All that is needed is a little sincere effort and your enemy can become your friend. When most of us hear news that we assume it to be true and we do not give those who we know the benefit of the doubt. Instead we are ready to stab them in the back with anything we can get our hands on. The Prophet (may Allah bestow peace and blessings upon him) never did this and he had the best character. 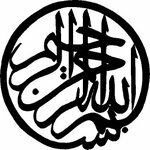 Ponder the fact that one of his greatest opponents in Medinah was Abdullah Ibn Salul. He was earmarked for leadership before the Prophet (may Allah bestow peace and blessings upon him). So Abdullah verbally opposed him in almost any situation that presented itself. He became known as the leader of the hypocrites and when he died his own son came to the Prophet (may Allah bestow peace and blessings upon him) and requested that he lead the funeral prayer. The Prophet (may Allah bestow peace and blessings upon him) did not refuse! This is an astonishing fact! What would you do with someone who spent years undermining your authority? He who severely weakened the Muslim forces at Uhud? Whenever Abdullah saw miracles, he flatly denied them. Yet look how the Prophet (may Allah bestow peace and blessings upon him) did not return evil for evil. Later did the prohibition come for him not to lead the prayer for hypocrites. The Prophet (may Allah bestow peace and blessings upon him) was a man of the highest moral conduct so a person with such qualities does not do anything lowly. Also part of the Prophet’s (may Allah bestow peace and blessings upon him) nature was mercy towards everyone. The Prophet (may Allah bestow peace and blessings upon him) had such an elevated moral conduct that he could not harm anything. Would you pray for someone who undermined you for years? He (may Allah bestow peace and blessings upon him) did and that’s what makes his have the highest moral character of them all. This whole piece of work is dedicated to one facet of the greatest character of our beloved Prophet (may Allah bestow peace and blessings upon him). He (may Allah bestow peace and blessings upon him) never returned the evil that was given to him with evil. How many of us fight fire with fire? When this was not the way of the Prophet (may Allah bestow peace and blessings upon him). He (may Allah bestow peace and blessings upon him) put out fires with water not petrol. If you were to delve deeper than you would find more and more aspects of exemplary conduct. “I was only sent to complete noble characteristics.” (Imam Ahmed). It means that honourable character did exist but it was not complete. Like a great story without an end; the Prophet (may Allah bestow peace and blessings be upon him) came and completed the story. Now it is complete we can now truly understand noble character as it is all summed up in him (may Allah bestow peace and blessings upon him). The greatest example of showing kindness to the undeserving is how Allah (the Exalted) treats us, despite all our sins. Allah blesses us even though we are totally unworthy of a single blessing. We continually fill our records with bad deeds yet Allah shows goodness to us and does us no wrong yet how we wrong ourselves. Ponder the kindness of a blessed Lord who knows all our sins, all our evil actions, those things people know of and those that no one knows, yet he shows us mercy, kindness and so many things we are truly and utterly unworthy of. This was another, and perhaps the greatest, act of forgiveness performed by historical figure. To forgive an entire city of people who in twenty years showed you and your followers no mercy. They tortured and killed many Muslims including prisoners and especially the weak. This is a prime example of how the Prophet (may Allah bestow peace and blessings upon him) showed mercy instead of enacting retribution. I am not sure that others would be so forgiving. They had murdered and mutilated members of his own family yet he forgave them. Then they became Muslims and were accepted! So through forgiveness and goodness he showed to them they came into the faith that they had previously rejected. It’s a wonderful event and one needs to pondered over it. So study it and read through this event thoroughly. Also ponder how Qureysh harmed him and maligned him (may Allah bestow peace and blessings upon him) yet he did not resort to similar tactics. He (may Allah bestow peace and blessings upon him) kept calling them to Islam and did not retaliate when he could have so easily done. Look at the event of Ta’if whilst the Prophet (may Allah bestow peace and blessings upon him) lay bleeding, the angels of the mountains came who wanted the instruction to destroy the people he was called to. But the Prophet (may Allah bestow peace and blessings upon him) refused and instead choose mercy instead of returning their evil with evil. Purely because his nature was so good that he (may Allah bestow peace and blessings upon him) had nothing but goodness in him. So his (may Allah bestow peace and blessings upon him) reaction is goodness. Then ponder the events of Uhud when the Prophet (may Allah bestow peace and blessings upon him) was hurt and Fatimah (may Allah be pleased with her) was tending to his wounds, she would criticize the pagan Qureysh, "the Prophet (may Allah bestow peace and blessings upon him) would say, “Allah forgive my people for they know not.” (Imam Al-Bayhaqi Dalail Al-Nabuwwah). Despite their harm and shedding of his (may Allah bestow peace and blessings upon him) blood, he (may Allah bestow peace and blessings upon him) did not return their evil with evil. Where do we stand with this? How many times have we got road rage and not given the driver the benefit of the doubt? Maybe their car is on the way to the garage and needs repair. We love to talk about Sunnah but are we ready to live by it? We love to give great lectures but are we ready to stand by and give to those who harmed us? We do face slander and harm but if we complain all the time, where does that leave us? So how does this benefit us? Or do we merely narrate and not practice? Where does that leave us but astray. Well look at the narration of the Jewish man who came to the Prophet (may Allah bestow peace and blessings upon him) to inquire about a debt. The Jewish man was rude but the Prophet (may Allah bestow peace and blessings upon him) dealt with him in a gentle manner; Umar (may Allah be pleased with him) was ready to kill him! So the Prophet (may Allah bestow peace and blessings upon him) told Umar to pay back the debt and give him more because Umar scared him. Then the Jewish man became Muslim because he had seen all the characteristics of the Prophet (may Allah bestow peace and blessings upon him) in the Torah except forbearance and he witnessed that now! So ponder the fact had he (may Allah bestow peace and blessings upon him) saw something in the Jew and wanted it to be manifest so took a loan. So what was manifest could come out, his faith. But without his (may Allah bestow peace and blessings upon him) kindness that faith of the Jewish man would never have manifested. You never know the effect of showing good character will do to a person especially in a time in which traditional values have but disappeared. If someone shows a non Muslim good character then this will change hearts. There are many Non-Muslim with excellent moral conduct and many Muslims who still have a lot to learn. 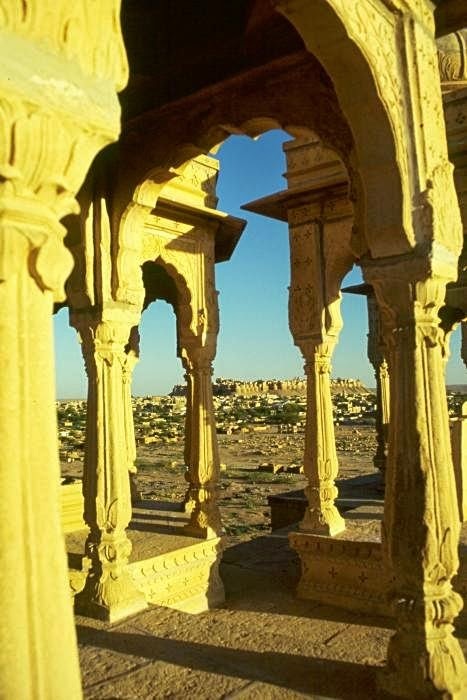 It was the adherents to tasawwaf/Islamic spiritually that spread Islam in those early centuries. As the political power was spread within one hundred years from France to China. But the actual population acceptance of Islam took hundreds of years. The catalyst was the hearts that were with Allah (the Exalted). They changed those who they came into contact and spread Islam. So next time you want to vent that self righteous anger, think again the Prophet (may Allah bestow peace and blessings upon him) did not that. He (may Allah bestow peace and blessings upon him) extinguished evil with goodness. Those who want to practice the Sunnah should start with this; if they are true to their own words. Instead of screaming out of misguided and unwanted fervor that belies the law and the character of who they claim to follow!!! Labels: Sheikh Hamza Yusuf, Who are the rightly guided scholars?